GoPro has been struggling in the market for quite some time. While the company does have a great product, they lack in one big area, marketing. However, investors were pleasantly surprised early this morning when the company made an announcement that shows it is attempting to lift marketing. Early this morning, the company announced that it has entered into a multi-year, global partnership. The partnership will include production, distribution, cross-promotion and product innovation, and will likely send GPRO to new heights. 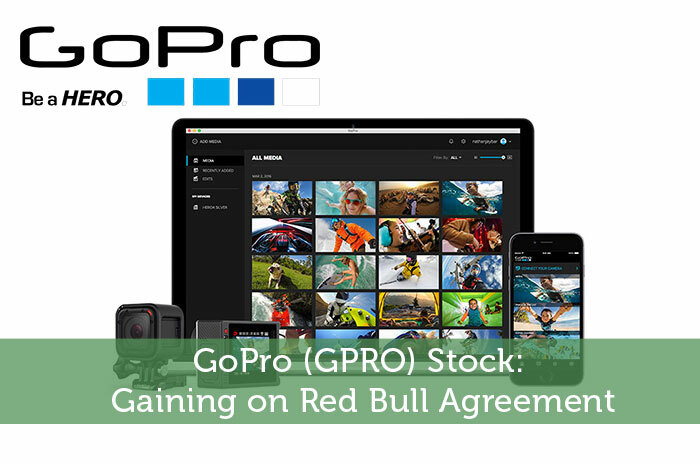 For some time now, investors have been looking for good news surrounding GPRO. Unfortunately, with sales not being where they should be, investors have become concerned. Nonetheless, it’s clear that the news that was released today was exactly what investors were looking for. This can be seen in the gains we’re seeing on the stock today. Currently (10:54), the stock is trading at $9.82 per share after a gain of $0.56 per share or 6.02% thus far today. Moving forward, I have a relatively mixed opinion with regard to what we can expect to see from GPRO. There’s no denying the fact that signing the partnership agreement with Red Bull was a great idea. However, I have to wonder if this is going to be enough to lift sales to a positive point. The truth is that most people know about GoPro. In fact, I knew about the camera for years, and it wasn’t until I purchased a kayak that I found a need for one. The bottom line is that the audience for GPRO branded cameras is relatively small, and I’m not sure that the Red Bull partnership will be enough to change that. Where do you think GPRO is headed and why? Let us know your opinion in the comments below!